You are at Home Eatery Critique Get ready to excite your tastebuds with RepChampion savory macarons! You might remember my previous post on RepChampion’s delicious sweet and savory macarons (you can check out the original post here) and I am back to showcase them again! 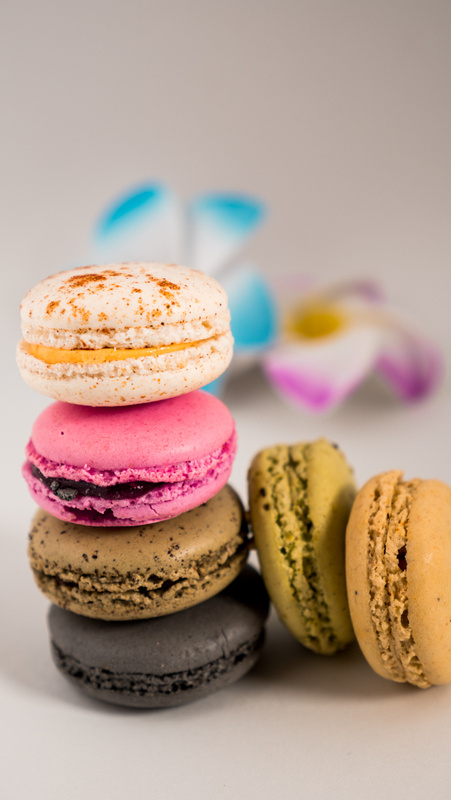 These macarons have won Le Trophée de la Gastronomy, one of France’s highest distinctions so you know they must be good! Most people have tried the conventional sweet macarons but you haven’t lived until you try these savory ones. The flavours are delicate and the light airy cookie just melts in your mouth. These macarons are made with the highest and finest ingredients! I try to think of which ones are my favourite but I really cannot decide (I really love them all)! These flavours are so luxurious! I almost feel spoiled eating them! Should I change out of my PJs to eat them? Haha! I really love the savoury macarons because I find the taste gets really elevated when you pair them with a nice chacuterie board filled with sliced meats, nuts, and cheese (and a glass of wine if that tickles your fancy). 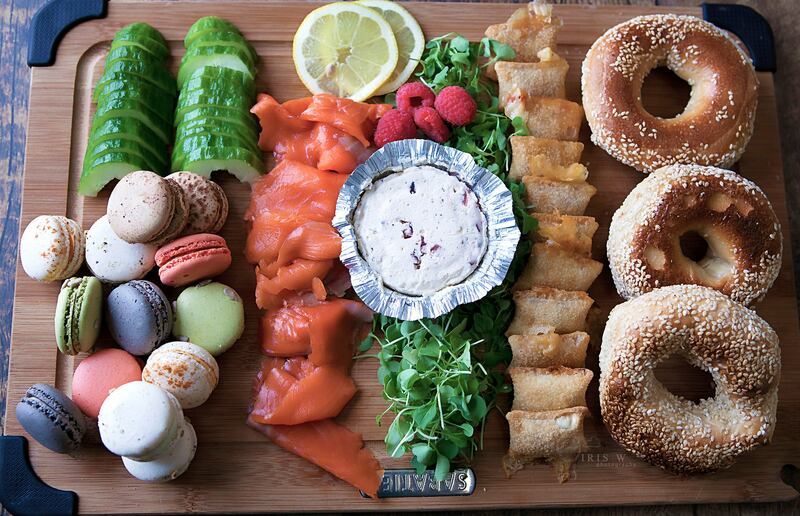 It is definitely a conversation started when you incorporate these macarons on a chacuterie board. You can even enjoy them with a salad as an appetizer, try crumbling the goat cheese macaron into your next salad with some strawberries and balsamic vinegar – YUM! My new favourite savory macaron is the truffle one. Truffle is definitely an acquired taste and it might not be for everyone. But the flavours in the truffle macarons was subtle and not too in your face. When you bite into it, you almost go “ohhhh, how interesting?” and the second bite brings full joy and its honestly an explosion of flavours and texture. 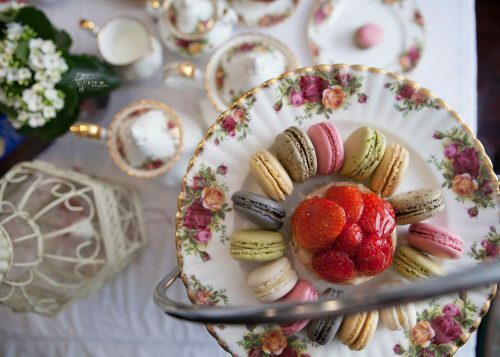 These macarons are very popular in France and you can find them in the fanciest hotels and restaurants there. The prices range from $2.25 to $2.50 each. They are priced very simliarly to any macarons you find in the heart of Toronto these days, but they are so much better! Let me tell you, they are worth every penny. And if you are interested in wholesale, you can contact Katsy directly (kentifi@repchamp.com). If you are looking for a unique gift for someone special or a corporate event giveaway, look no further, RepChampion macarons is the way to go. If you are in the greater Toronto area and want to give these delicious macarons a try, you can find them at The Mad Hatter Tea Room and Marylebone Cafe & Creamery. And if you are planning a wedding, party and or any other corporate event, you can contact the award winning event planner, Eddie Suliman who also distributes Rep Champion’s amazing macarons! Or you can simply get in touch with Katsy (the owner of RepChampion) and order directly through her. 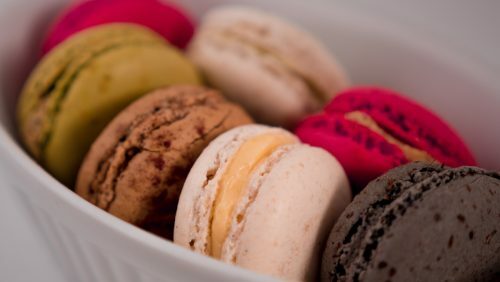 Have you tried savory macarons before? Which one is your favourite? Or which one would you love to try? Comment below!